the Islander Is One Of Fanimation?s Early Fan Designs That Have Withstood The Test Of Time. 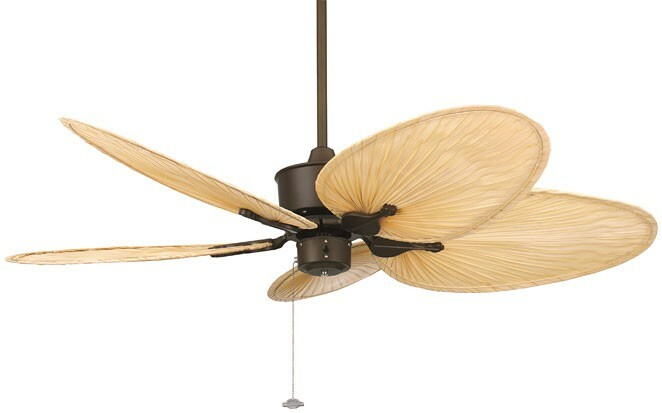 For Over Twenty Years, The Natural Elegance And Versatility Of This Tropically Inspired Ceiling Fan Have Contributed To Its Undiminished Popularity. A Few Of The Islander?s Most Commonly Selected Blade Options Include Natural Palm Leaf And Woven Bamboo, But The Islander Can Also Be Paired With Cairo Purple Or Maple Finish Carved Wood Blades. The Islander Not Only Provides A Beautiful Accent To Any Indoor Setting, But It Is Also Brilliantly Engineered To Operate In Most Damp Location Environments. The Islander Is Available In Black, Matte White, Oil-rubbed Bronze, Rust And Satin Nickel Finishes For Damp Locations And Antique Brass And Pewter Finishes For Dry Locations. The Islander Includes A 6? Downrod And Operates With Three Forward And Reverse Speeds.